Fits GE and Hotpoint refrigerators with a round white plastic filter mounted inside the refrigerator compartment above the top shelf. This filter is my second one and I'm very happy with them...they last longer than what they say they do and our water is great! Used in my GE refrigerator. Perfect match for GE filter. A little hard to install but got it and it works fine. 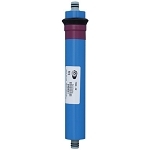 Filter replaces GE brand filter at a much lower price. Thanks. Arrived fast and worked with my GE refrigerator just fine. Didn''t work with our fridge as promised. We couldn''t get it to work with our GE fridge. It said it would. But to no avail. Stick with the name brand for the extra couple bucks. 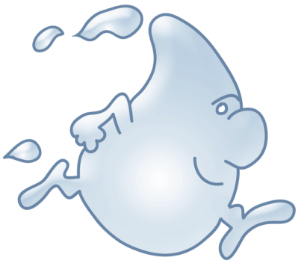 Q: What is filtered out of water? A: Label states that it removes or reduces chlorine, testes and odors and that it is tested to ANSI Standard 42 for such reduction. It doesn't say much beyond that. Q: Where is this water filter manufactured? Q: when do u expect this item to be in stock???? A: Shipping is $5.00 Flat Rate Shipping for orders under $99.00 and Free Shipping for orders $99.00 and over if shipping within the 48 Contiguous United States. For International Orders: Shipping costs are calculated at the time of Checkout process. It depends on the location and what items and quantities are being purchased. Please note that you have not officially placed your order at this point. At this stage of the Checkout process, you will merely be finding out what your total order costs would be. It is not until you enter your method of payment and the payment is processed, that the order is officially placed. Was this answer helpful? 0 of 5 Customer(s) found this Answer helpful. Q: whats is the shipping cost? A: You must use the adapter. A: It fit mine without any adapter. A: Yes. I have a GE Model # GSH25ISXB. It has a Smart Water filter hook up in the upper right corner of the top shelf. Hope that helps! A: This filter screws right into MY GE refrigerator. No adaptor required. A: I'm not sure of your model or age, but it fit my new ge fridge without any adapter and went on like a charm. Hope this helps! A: Yes, no problem. Works well. A: Yes, these work great! I buy multiples whenever I need a new filter & no problem in our ge fridge. No adapter needed. A: I haven't used it yet. My old filter is still good for another month. Q: Does this require an adaptor for GE side by side or does it just screw in? A: Yes, if you look at the Replacements tab in the item description, you will see the HWF listed as a compatible replacement. A: willing to try a replacement filter for the higher priced recommended filter. A: I chose this item because I need to change my filter and it was a great price. A: Works as well as the GE brand and costs less. Even with shipping, price is less than I have found at local stores. A: It seemed laike a good value compared to the GE Name Brand Filter. A: Have used it successfully in the past. A: price,convenience and the company offering the choice between this filter or OEM filter both at an excellent saving. A: I needed it to replace an existing filter. The price was right. A: It was cheaper but didn't work. When installed, it leaked water everywhere. A: Trying to save by using generic. Hope it works. A: Going to give these a try because of price . Will let you know if they are a deal or not. A: This is what was showing on the email reminder when I received it. A: REPLACEMENT FILTERS AT HOME DEPOT WERE $45.00. THESE ARE JUST AS GOOD AND HALF THE PRICE. ONLY MAKES SENSE IN THIS TIGHT ECONOMY TO SHOP SMART. THANKS WATERFILTERSFAST! A: Ease of purchase; quick and simple. 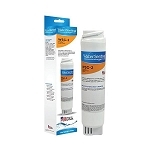 A: Excellent price for these filters, I have paid over $30 each the last time I bought them. A: Less expensive than others and works fine for me. A: I have had good luck with this product and the price is the cheapest I've found to date. A: Going to try out to see how well it works and how long it lasts. 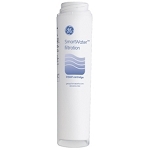 The genuine GE MWF filter only lasts about 3-3.5 months. At $45 a piece from Home Depot, I thought I would try the Water Sentinel Filter. A: It is compatible with my fridge at a better price than the GE model. Q: Is this filter as good as a factory GE filter? A: Yes, I never buy the factory GE filter. Q: does this item fit the ge refrigerator without an adater? Thank you.